Arriving in Cuba and sights of Havana. Walking tour of sights of Old Town Havana. Traveling from Havana to Viñales & sights of Viñales. Caves & cigar valley of Viñales. 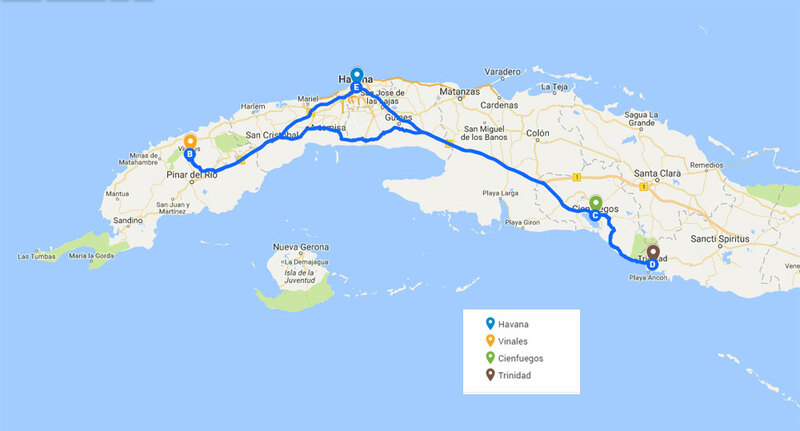 Traveling from Viñales to Cienfuegos. Sights of Cienfuegos & traveling to Trinidad. Traveling from Trinidad to Havana.